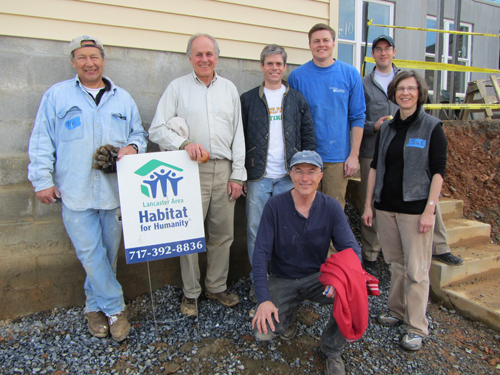 For their annual retreat, the GKH Partners and legal administrator spent a day volunteering with the Lancaster Area Habitat for Humanity. The home pictured here at the Fairview Build is the 136th house Habitat has built in Lancaster County. It will be dedicated in May for a family planning to move in June. Habitat for Humanity brings people together to build homes, communities and hope.